Always check local zoning regulations before investing in professionally rendered designs. Keep your design scheme clean and simple. Your shop will be difficult to clean as it is, so unnecessary alcoves and shelving will be detrimental. Dog grooming shops present a set of unique design challenges. Unlike most shops and salons, grooming shops are likely to be full of dogs all day long. Naturally dogs don’t always behave in a manner you’d expect from people, so it’s important to take that into account when designing your dog grooming shop. Your grooming shop will also contain a number of appliances that must be factored into your design, such as baths and grooming tables. 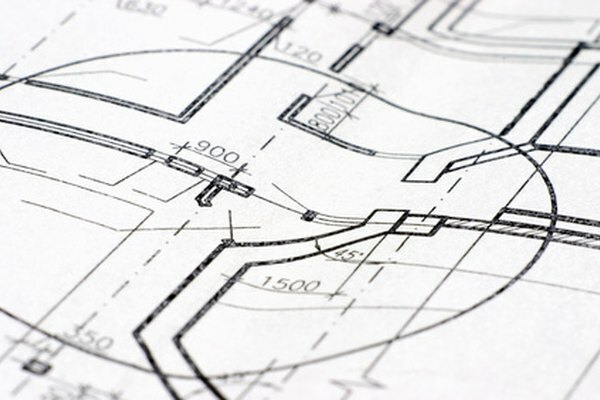 Measure your premises and create a blueprint of the layout. Until you know how much space you have to work with, you can’t create an accurate design for your shop. If you already own the property, measure the total footprint of the building’s interior as well as each room individually. You may decide to reappoint the building to have fewer or more walls, so it’s important to know what the total area is. To calculate the area of a room, multiply its length by its width. Plot your power sources. Unlike most regular shops, you and your staff will need to use electrical equipment on the shop floor. This is where you will be performing grooming procedures such as hair trimming. Keep in mind that long power cables trailing along the floor represent a safety risk, especially with dogs around. Plot the power sources so that they are spaced equally along each wall. This way you can plug in equipment in any part of the room. Plan for at least three separate areas: Waiting, grooming and storage. Most shops put their grooming supply stock on display; you must never do this. Your shop floor should be free from clutter and mess. Therefore you need a separate area to keep your stocks of shampoos, conditioners, flea treatments and all other necessary inventory. Incorporate a separate area for grooming and waiting. It’s smart to keep waiting customers and their pets separate from dogs in the process of being groomed. 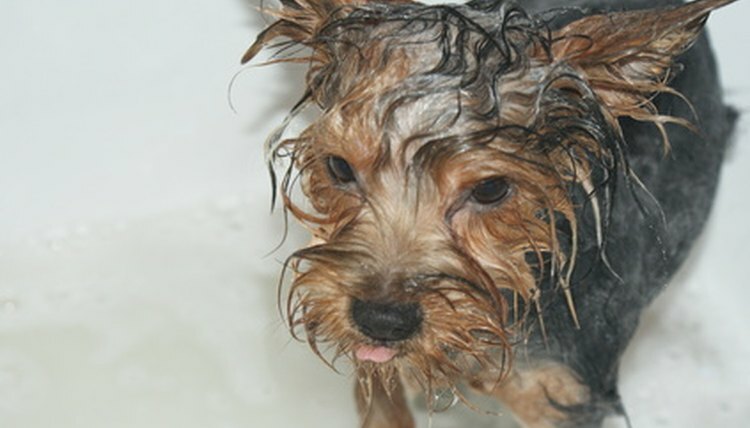 The task of grooming a nervous dog becomes a lot trickier if he is distracted by other dogs. Design the shop floor and grooming area so the floors are easy to clean. Linoleum floors are easy to wipe clean. Separate carpet squares are a smart idea too. If one of your dogs has an accident, you can quickly remove the soiled part of the floor to be cleaned later and replace it with a fresh one. Crufts is the world’s biggest dog show. In 2004 it had over 20,000 canine visitors. This is how the show organizers keep their floor free from mess.